Clan pipe tobacco is a brand manufactured by the Scandinavian Tobacco Group, one of the major manufacturers of cigars in the world, aimed at those who seek the inexpensive tobacco option. It is consisted of various blends such as Burley, Black Cavendish and Virginia which make it very aromatic and sophisticated. Clan tobacco is sold for over 30 countries around the world. Shopping for pipe tobacco on Duty Free Depot gives you great benefits – first and foremost, Duty Free Depot provides the cheapest prices you can find online. Not less important - Worldwide Shipping for all orders! Yes, that's correct we provide worldwide shipping. 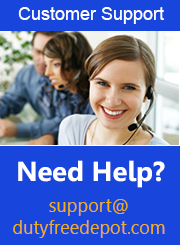 Combine all of those with our professional support team for your every need and there's no reason to hesitate. Order Clan tobacco today and enjoy amazing shopping experience!